The former Nigeria’s Ambassador to South Africa, Alhaji Ahmed Musa Ibeto, has said that he left the All Progressives Congress (APC) for the Peoples Democratic Party (PDP) to enable him realise his ambition of ruling Niger State. 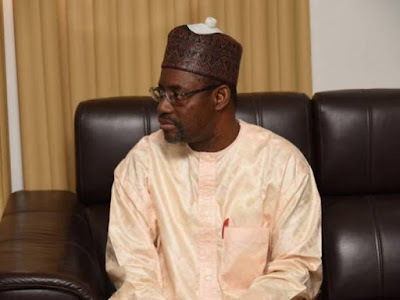 Ibeto, who resigned from his ambassadorial position on Monday and registered with the PDP in his Ibelu ward in Magama Local Government of Niger State on Tuesday, also said he still holds President Muhmmadu Buhari in high esteem and “respects him”. The former envoy, who spoke to some newsmen after joining the PDP, further said that he did not hold any grudge against former Governor Mu’azu Babangida Aliyu under whom he served as deputy governor for eight years before political differences separated them in 2014. “I bear no grudge against anyone, even former governor, Dr. Mua’azu Babangida Aliyu, remains my leader and one of those I respect,” Ibeto said. Ibeto dismissed the rumour making the rounds that there was a quarrel between him and the leadership of the APC in the state and at the national level, adding that he had cordial relationship with everyone in the APC. “That I was appointed Nigeria’s ambassador to South Africa should not preclude me or stop me from aspiring to serve my state in any capacity I cherish. “I’m a free born citizen of Nigeria and have the inalienable right to contest for any pubic office in the country and particularly my state,” he asserted. He charged the people of the state to make the “right choice of persons who are suitably qualified to hold them in trust and administer the state in the true sense of service and responsibility when the election time comes”.